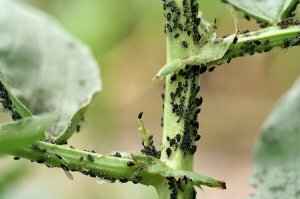 The natural pest control methods to outsmart garden pests! Summer is the season when pests can be a real problem in the garden. Instead of using those toxic off the shelf chemicals, lets consider a simple garden maintenance routine that will get on top of pests effectively and naturally. 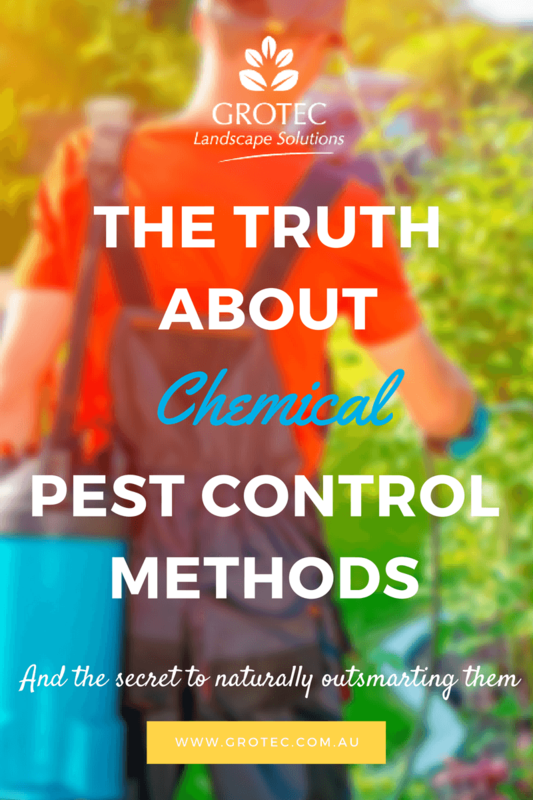 But first, I wanted to help you understand the long term ramifications of using toxic pesticides around the garden and then offer some safer natural pest control methods. The use of natural pest control methods began centuries ago when chemicals occurred naturally and were used to repel pests. However, as the years progressed, scientists discovered that man-made repellants were more effective in warding off pests than natural chemicals and a booming multi-million dollar garden maintenance industry was born. The use of toxic pesticides in garden maintenance carries a high price tag for humans and encourages the contamination of the environment. Applying these chemicals would effect the air which is inhaled by innocent people. The chemical is often swept up by winds into streams, lakes, rivers and absorbed into the underground water table that provides our consumable water supply. Surface run-off of these chemicals can contaminate bodies of water and change the natural ecosystems by annihilating or permanently damaging several groups of organisms. These further collect and accumulate in the food chain causing harm, not just invading the surroundings. It’s almost impossible to avoid the damaging effects of pesticides and herbicides (toxic weed control). For instance, an ordinary individual living in a city often comes across a number of open spaces such as athletic fields, golf courses and parks. Aside from that, there are grass surfaces, planting beds and areas allotted to vegetation which are all probably managed with toxic chemicals within a structured garden maintenance routine. Among the many effects of toxic pesticides, perhaps the most alarming is the danger they pose to human health. They are very effective in eliminating undesirable insects and plants but the problem is they do similar damage to our bodies. The only reason why they don’t kill us instantly like the plants and insects is because we are bigger and have different biological components. They could not annihilate humans but they can seriously damage certain parts of our bodies thus effectively incapacitating lives. Recent studies indicate the serious damage these chemicals could cause on our brain. The extent of the damage could not be ascertained because it is difficult to measure. 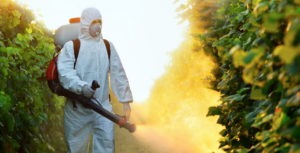 Scientists have reasons to believe that pesticide and herbicide contamination could be the cause of autism cases, attention deficit disorders and attention deficit hyperactivity disorder. Other potential problems include heart congestion, lung and kidney damage, low blood pressure, muscle damage, weight loss and adrenal glands damage. The moral to this story is, we each have to carefully consider the products being used in and around our homes and in our garden maintenance routines to protect our families, pets and also our community, natural wildlife and the environment. How do we do that? Regular Garden Maintenance and monitoring is the KEY!! Consider using these natural pest control methods and remedies. The easiest way to prevent insect damage in your garden is discourage them from coming in the first place. A healthy garden is the best defence. Pull out any weak plants that attract insects and dispose of them away from the garden area. Build healthy organic soil – Natural composting methods, mulching and top-dressing your soil with compost or natural fertiliser is the best way to develop strong vigorous plants. Seaweed sprays -Seaweed contains trace elements such as iron, zinc, calcium, sulphur and magnesium, which promote healthy development in plants and gives them the strength to withstand disease. Water foliage early so foliage will be dry for most of the day. Wet foliage encourages insect and fungal damage to your plants. Dis-infect. If you’ve been working with infested plants, clean your tools before moving on to other garden areas. This will reduce the speed of invading insects. Beneficial insects for natural pest control methods – Encourage these guys in your garden, they prey on harmful insects or their larvae. There are many diifferent species for specific problems and include Ladybugs which consume aphids ,mites, whiteflys and scale. Lacewings and Hover-flies which are avid consumers of aphids and their larvae and many other pest varieties. Praying Mantis is a large insect that has an appetite for most garden pests. All of these insects are available from good nurseries or by mail order. Non-Toxic and Homemade natural pest control methods are inexpensive and best of all, you know what is going in your garden. They usually involve noxious (but low toxic) ingredients such as garlic, cayenne and chilli but can also include oils and soap. For soft bodied insects such as mites, aphids and mealybugs, mix one tablespoon canola oil or similar and a few drops of chemical free liquid soap into 1 cup of water. Shake well and pour into a spray bottle. Spray plant from above and below to get the underside of the leaves. The oil smothers the insects, stopping them from breathing. Chewing insects – Mix two tablespoons of hot chilli or cayenne pepper with a few drops of natural based liquid soap in a cup of water. Let stand overnight, then stir, strain and pour into a spray bottle. Apply to the leaves being chewed. (The pests hate the taste and move on). Shake container frequently during application. Low Toxic pre-packaged sprays are convenient but read the labels thoroughly. Some may use the words “natural”, “organic”, or “biodegradable” in describing their product but this does not mean that it is safe. Choose a “pest-specific” garden maintenance pesticide that is intended to destroy only the pest that causes problems. I hope this article helps you to understand why you should consider natural methods of pest control as part of your regular garden maintenance routine. Grotec Landscape Solutions and all of their alliance partners are proud to say that we only use natural pest control methods on the gardens that we create and care for.